Many beginners are confused about how to use plugins when starting a WordPress blog or website. In this post, you will find a step-by-step tutorial on how to upload, install, config and use WordPress plugins. How To Install A Plugin Manually? How To Upload A Plugin To WordPress Via FTP? Before the beginning of this post, you need to understand what is a WordPress plugin, what a plugin can be used for and what the benefits you could get from plugins when you running a WordPress website. Here are some famous websites from which you can search and download proper plugins for your WordPress blogs and sites. Tons of Open Source WordPress Plugins. The fastest way to find and install WordPress plugins is to add plugins in the ‘Add Plugins’ section of your WordPress dashboard. 2. Click the Add New link under the Plugins section in the left sidebar. 3. 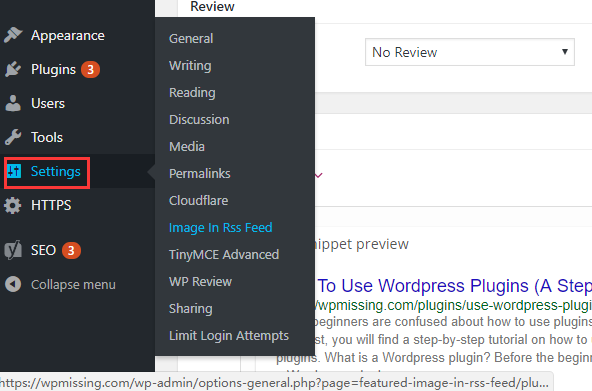 Search WordPress plugins by keywords, tags or authors. 4.Click the Install Now button to instantly install the plugin you selected for your WordPress site. 5. To active the plugin, just click the Active button when the plugin is completely installed. If you have a WordPress plugin in a .zip format, you may install it by uploading it in the Add Plugins page. 1. Login to your WordPress admin panel and goto the Add Plugins as noticed above. 2. Download the plugin zip file and save it to your computer. 3. Click the Upload Plugin button on the top of the page. 4. Select the plugin zip file from where you saved the zip file on your computer and then click the Install Now button. 5. Active the plugin and done. The third way to install a WordPress plugin is by uploading the plugin files via an FTP client of your choice. FileZilla: A full free and open source FTP/SFTP client. WinSCP: A free SFTP, SCP and FTP client for Windows. Flashfxp: A high performance and secure FTP, FTPS, SFTP client. 1. Download the plugin zip file and save it to your computer. 3. Login to your FTP server via an FTP client. 5. Upload the plugin files from the folder extracted in Step 2. 6. You will find the WordPress plugin in the Plugins page of your WordPress admin panel. 7. Click the Active link to enable the WordPress plugin. Done! The final step of installing a WordPress plugin is to override the default plugin settings according to your actual needs. 1. Login to your WordPress. 2. Hover over the Settings link in the sidebar dashboard. 3. Find and click the plugin name. In this post, you learned how to find, upload, install and config plugins for your WordPress site. If you have any questions please let me know.